Removing a pool table from a home or a business can be stressful. Not only can it be heavy but the disposal can be hard as well. Leaving it on on the curb for the garbage man might be a good idea, but only if they actually take it. Junk MY Trash can help you get rid of your old and heavy pool table as well as disposing of it properly. Call now for a free onsite estimate. Just one call can clear it all! 866-544-5865. 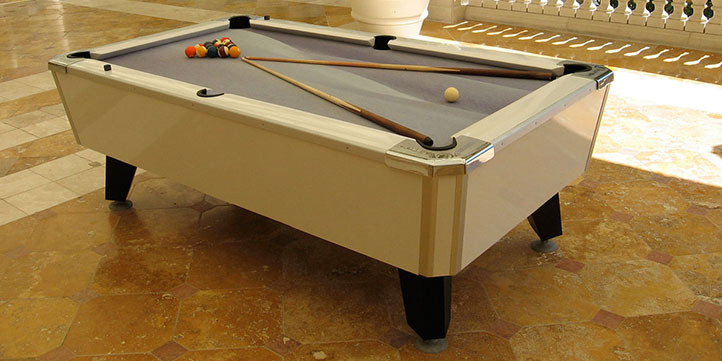 That old pool table can eventually become an eye sore or occupy valuable space from your home or place of business. Especially if it?s not in use any more or if it?s damaged and just sitting and collecting dust. Don?t pull a muscle or pinch a nerve trying to remove your pool table yourself. TheJunk My TrashProfessional can do it all for you. We can move, remove, haul and dispose of your heavy pool table safely and with ease. You can rest assure we will get rid of that old and heavy pool table without damaging or causing any harm to your home. Removing a heavy Pool Table can be as easy as pointing to it and watching it go away. Junk My Trash can make it that easy for you. Just call and schedule a free estimate. One call clears it all! 866-544-5865.